There are different kinds of concerns that can be addressed through my services. Some individuals or couples come for short-term counseling (1-10 sessions) to help move through a difficult situation, to address a nagging concern that needs tending, or to meet a daunting goal before them. 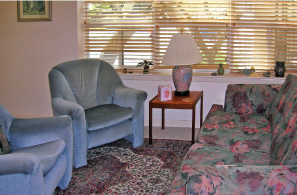 Other people come for longer-term psychotherapy. This involves more in-depth exploration of the difficulty and your relationship to it. These kinds of problems can include longstanding family patterns, relationship conflicts or break-ups, symptoms that won’t go away or are worsening, and inner experiences that seem overwhelming and unresolvable. My experience is that sometimes these problems are like tight knots that have been getting tighter over the years and may need more time to loosen and unwind. The decision about whether we will work with your concerns in a short-term or longer-term way, as well as how often your appointments will be scheduled, will be made together as part of the assessment. In addition, if other referrals need to be made, this will be included in the assessment. An office visit lasts 50-60 minutes, and my regular fee is $120, paid at the time of service. If alternative arrangements need to be made, we can discuss this on the phone or in the office. I accept cash, checks, Visa and Mastercard. I welcome you to call or email me if you have any questions or to schedule an initial appointment.